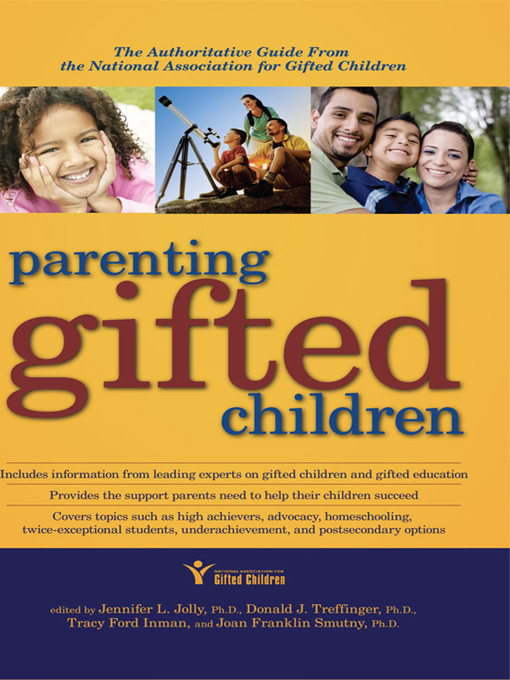 The official guide to parenting gifted kids from the nation's leading organization on gifted children The only book of its kind, this guidebook will allow parents to find the support and resources they need to help their children find success in school and beyond. Written by experts in the field of gifted education and sponsored by the leading organization supporting the education of gifted and advanced learners, this book is sure to provide guidance, advice, and support for any parent of gifted children. This comprehensive guide covers topics such as working with high achievers and young gifted children, acceleration, advocating for talented students, serving as role models and mentors for gifted kids, homeschooling, underachievement, twice-exceptional students, and postsecondary opportunities.